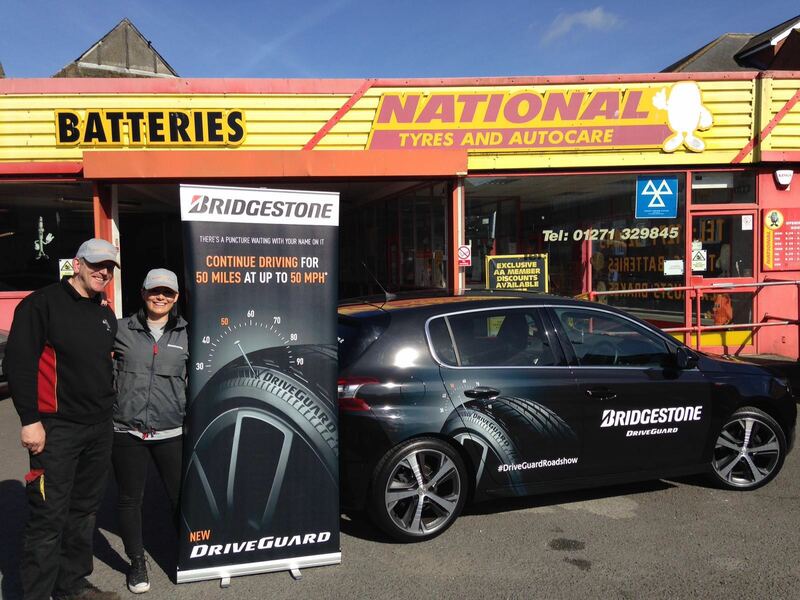 When Bridgestone wanted to launch its new DriveGuard product to market, we were tasked with devising a nationwide roadshow which would reach as many tyre retailers as possible within a four-week period. 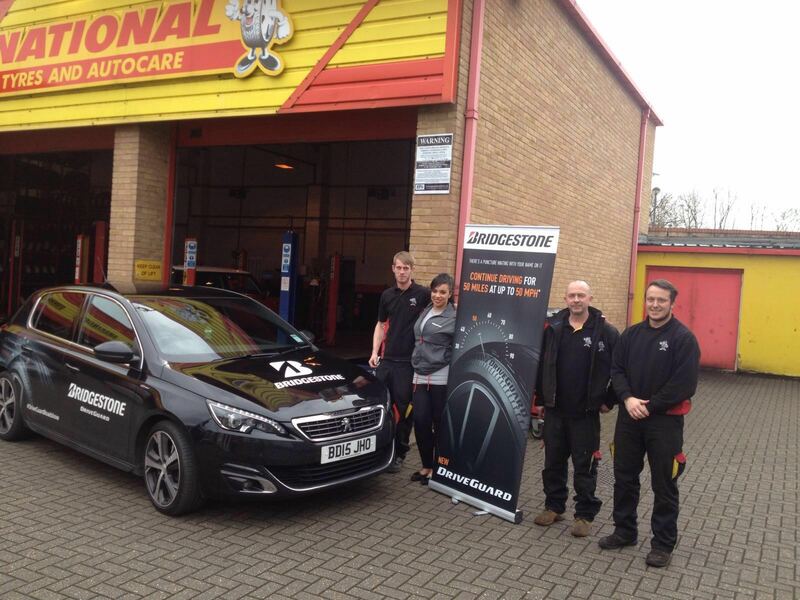 To reach as many Bridgestone retailers as possible and provide a practical demonstration of the benefits of the new DriveGuard product. We went out on the road, hiring two cars, getting them branded and filling the boot with coffee and cake – plus promotional literature! 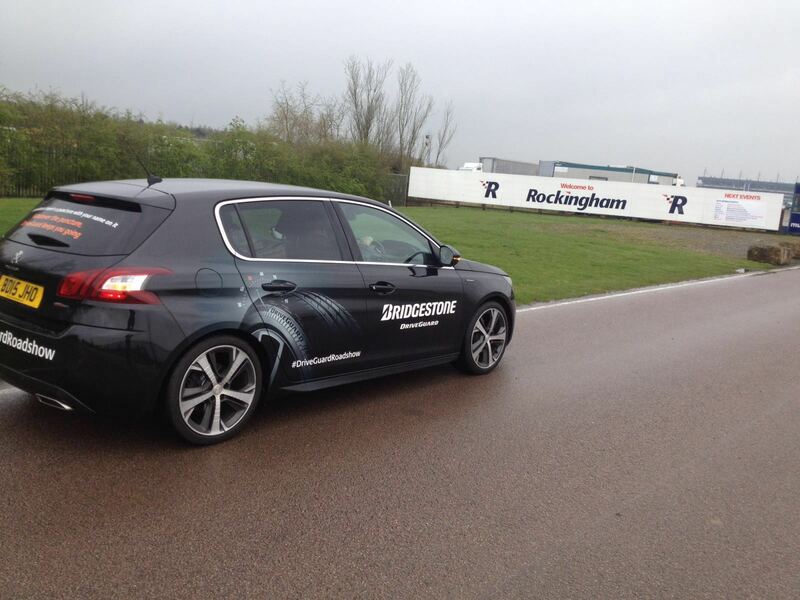 – to engage face-to-face with the Bridgestone retail network. 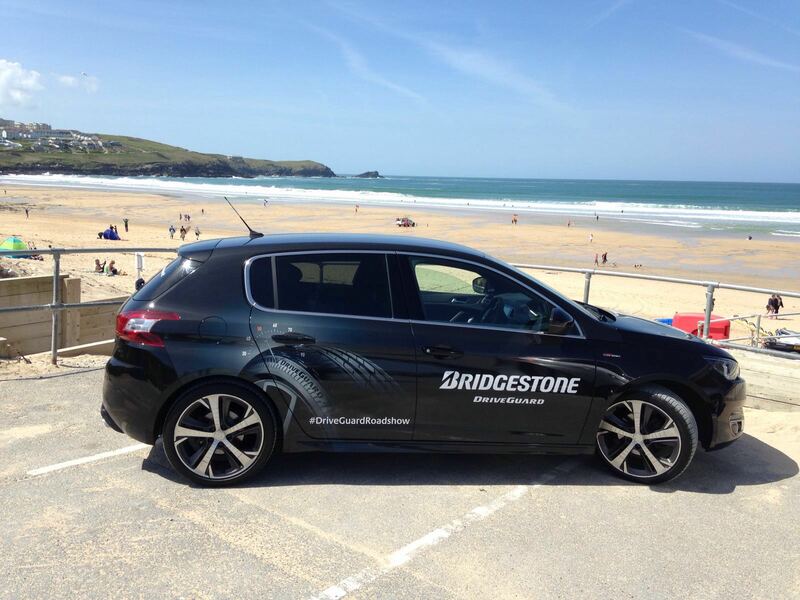 In just four weeks, we met with almost 1,000 staff from 250 branches across the Bridgestone retail network, delivering significant brand exposure and interest in the run-up to promotional launch activity. Run in tandem with a TV advertising campaign to create consumer demand, we were briefed to generate retailer interest and engagement to ensure that the promotional launch activities for DriveGuard would be a runaway success. 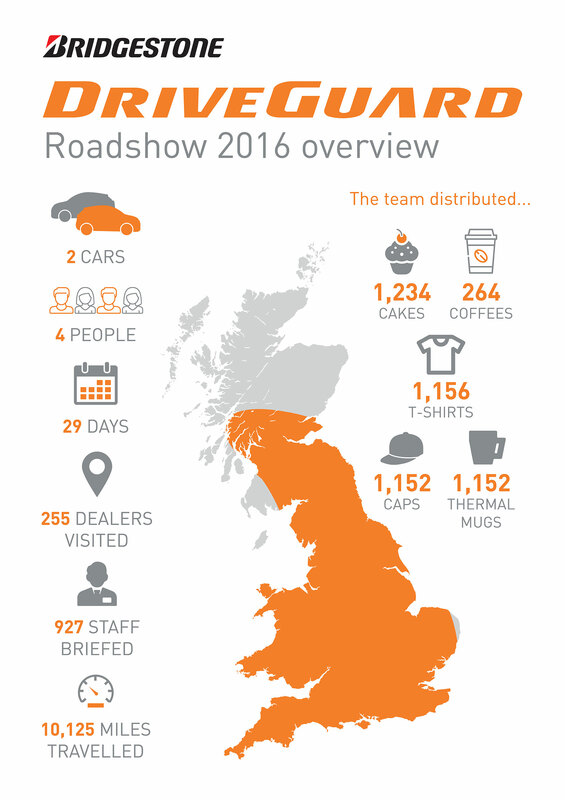 We hired two cars, covered them in DriveGuard branding and sent our team out on the road armed with DriveGuard presentations, information hand-outs, merchandise and the obligatory sugary goods in order to deliver more than 250 presentations to almost 1,000 staff across the whole of the UK. We even shared photos of the team on tour on social media, with high profile local landmarks to give followers a clue about where we’d been and where we would head next. 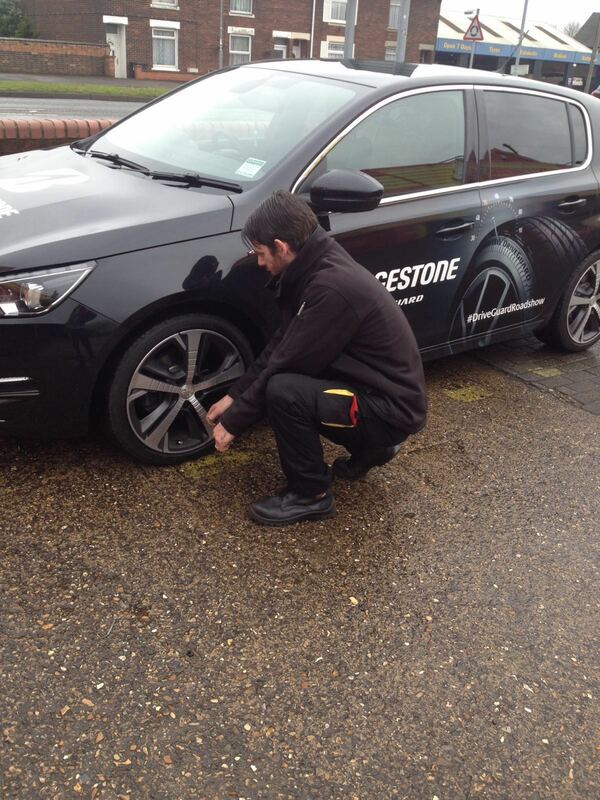 With over 10,000 miles covered, the challenge for tyre retailers was to spot the DriveGuard cars before they moved on! 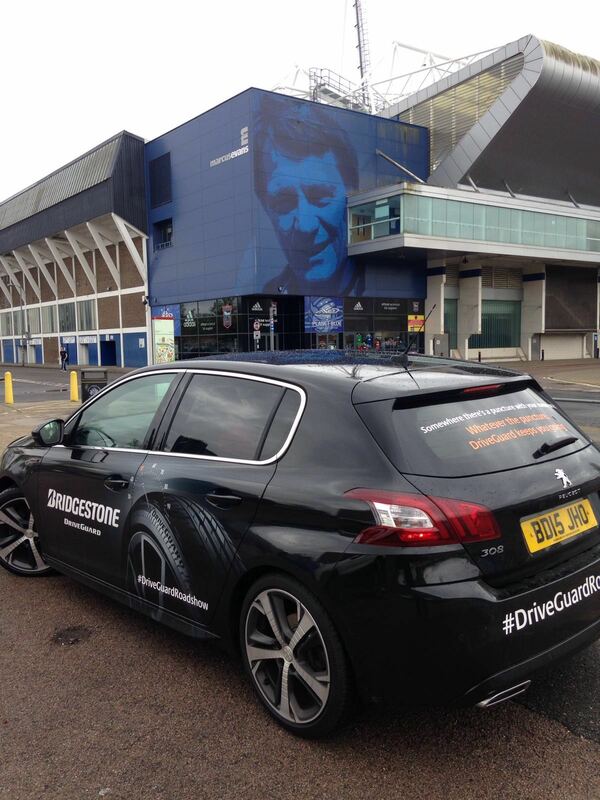 As well as providing Bridgestone with valuable feedback on the product launch, the DriveGuard roadshow drove significant increases in customer demand and retail sales, as well as laying strong foundations for future growth and high profile sporting sponsorship activity. The DriveGuard Roadshow was a massive success, the buzz created around the new product was more than we could ever have anticipated! Do you want to create a buzz about a new product?